Friendship Circle is proud to provide transportation to social, educational and recreational activities. We provide transportation from our facility to and from venues, as part of scheduled activites. 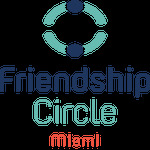 The Friendship Circle of Miami operates its programs and services without regard to race, color and national origin in acordance with Title VI of the Civil Rights Act. Any person who believes she or he has been aggrieved by any unlawful discriminatory practice under Title VI may file a complaint with the Friendship Circle of Miami. For more information on Miami-Dade Transit, Office of Civil Rights & Labor Relations' civil rights program, and the procedures to file a complaint, contact the Friendship Circle of Miami, Inc. at 305-234-5654 or visit the Miami-Dade Transit Office of Civil Rights & Labor Relations, 701 NW First Court, Suite 1700, Miami, Florida 33136. For more information, visit: https://www8.miamidade.gov/global/service.page?Mduid_service=ser1499958278524275. If information is needed in another language, contact (305) 234-5654.